Protect your eyesight with these comfortable and affordable goggles. 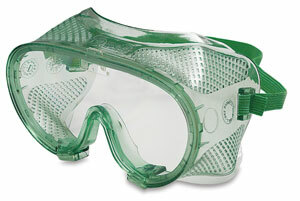 Goggles have a clear plastic lens that won't fog up during wear. The frame is made of a soft, flexible vinyl. Goggles are lightweight, and can be worn over most eyeglasses.